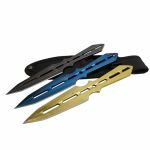 With the Infinity Warrior Throwing Knife Set, you get a set of three multicolor throwing knives that are as fast as they are stylish. 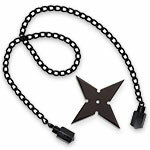 The three throwing blades are made out of stainless steel and each has a color more unique than the last. 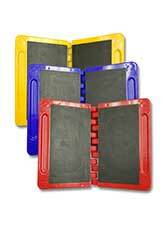 The first is a blue anodized color. 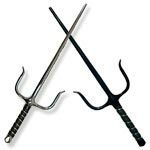 It is said that this blue throwing knife allows its wielder to increase their speed and violate the laws of physics to alter the distance between them and their target, but it's actually just a throwing knife. Similarly, the gold throwing knife in this set is rumored to enhance your aim by giving you the ability to predict where your target will move. Again, this is just a rumor that we have so far been unable to corroborate. 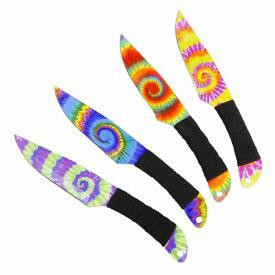 An old wive's tale says that the final stone wash throwing knife will enhance your physical strength as you throw it. We have been unable to replicate this in our experiments. 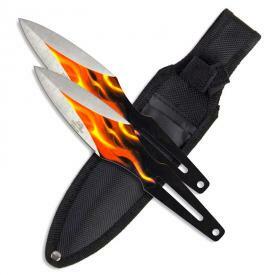 Even thought this throwing knife set doesn't make you the master of time and space, it's still a pretty sweet set of 7.5" knives. 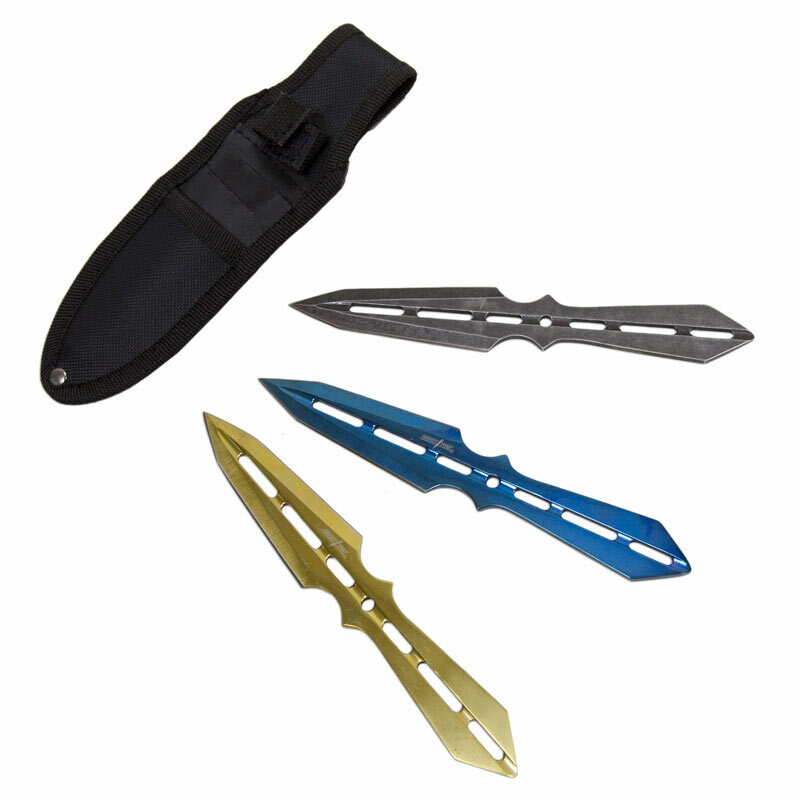 The blue and gold throwing knives have a tinite coating and each knife weighs two ounces. 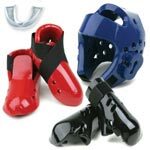 You can also fit them in a nylon sheath that fits on your belt, which is the next best thing to an infinity gauntlet. 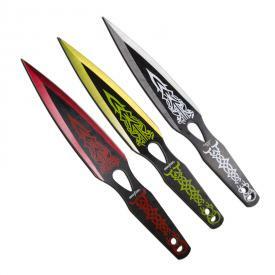 With this set of throwing knives, you'll be ready to fight in your own infinity war.